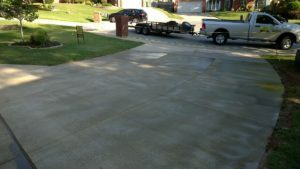 Whether you’re building a new property in Norman, or remodeling an old one, a concrete driveway is always a nice addition, and today is the right time! Celebrating our 40th year of service, Bill’s Custom Concrete & Yard Drainage provides you the best option for installing a concrete driveway in Norman. With thousands of concrete projects under our belt for the past 40 years, we have provided Oklahoma City Metro residents premium quality solutions for all kinds of concrete needs. Call us right away for a free quote at (405)755-3975. We promise you all quotes are free, fairly priced, and honest to goodness. 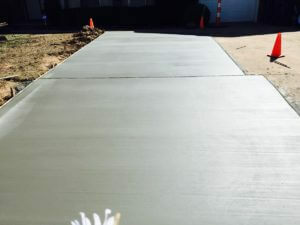 Why Choose Bill’s Custom Concrete to Build Your Concrete Driveway? – Bill’s Custom Concrete and Yard Drainage is celebrating our 40th year of service this year. We will bring our experience, technical expertise, and professionalism that comes with thousands of successful concrete projects under our belt, guaranteeing you the highest customer satisfaction possible. – Totally customized and unique concrete work just for you, we will show you our previous work and brainstorm with you to build the perfect concrete driveway for your Norman home. -We only work with the highest grade of concrete that is made for the durability a concrete driveway will need over the years. We will use only the most durable concrete that can withstand the heaviest weight and pressure, but also ensures long-lasting form for many years to come. Satisfaction of our clients is on the very top of our mission statement, and the number of positive reviews over the last 40 years has shown our passion and dedication to achieve that. For us, concrete work is an art of its own, and each project demands our utmost attention to details. Having designed hundred concrete driveway in the Oklahoma City Metro area, our team at Bill’s Custom Concrete can recommend to you many different types of designs and show you examples of our previous concrete driveway projects for inspiration. We understand that every house will have different needs, and we’ll bring our experience to the table to help you decide what’s best for your property. Whether you need landscapes around the driveway, an extra number of cars needed, or other ideas only limited by your imaginations, we can turn your idea into reality. Every concrete driveway will be unique, high-quality, and long-lasting for many years to come. Concrete on its own is already one of the most durable materials used to build a driveway, but we made sure to use the strongest and most durable concrete to ensure the durability of your concrete driveway over the years. That way, your driveway can withstand the heaviest of pressure and the huge changes of temperatures that are common in Norman, Oklahoma. That, completed with our team’s attention to details of pouring your concrete driveway of constant 4″ thickness will save your driveway from cracks, damage, and changes in form for many years. Building your concrete driveway with us is not a cost, it is an investment for many years to come, and we guarantee that our rates will be honest, fair, and affordable. Contact us right away at (405)755-3975 and our friendly customer service team will be happy to schedule a time for Bill to come to your location to give a free quote.